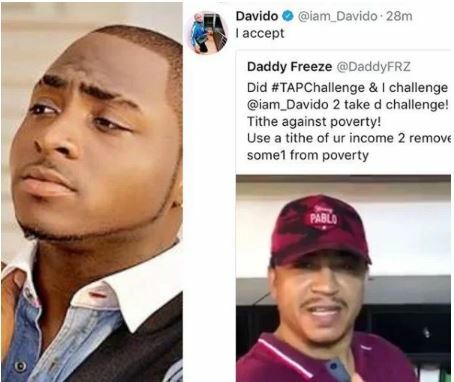 The TitheAgainstPoverty, TAP initiative is gradually gaining popularity and it was just launched over the weekend by the "Sheeple" master himself, Daddy Freeze. People are already heavy responding and invested in it and Mr. Freeze is calling on more and more people to take the challenge. According to him, the ‘Tithe Against Poverty’ challenge is a campaign created to end poverty in Nigeria. To participate, you must remove someone from poverty with a tithe of your income and challenge someone to do the same! 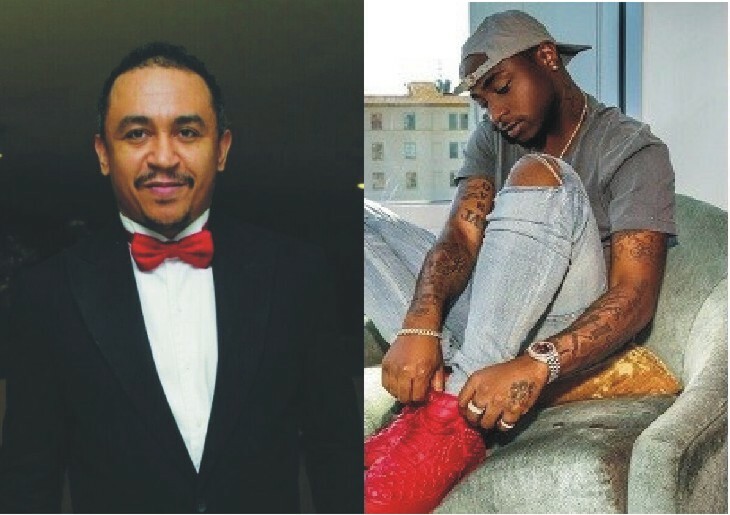 Yesterday, Freeze challenged Nigeria singer and DWM Boss Davido to do so and he accepted wholeheartedly. Freeze is surely gaining more momentum with his Tithe campaign.